Providing DJ Services for Hot Springs South Dakota Weddings, School Dances, Proms, Birthday Parties and Many Other Events. 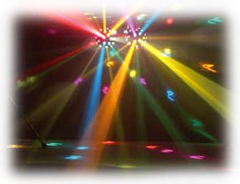 Marek's DJ Services is the Hot Springs premier mobile entertainment company specializing in providing professional entertainment for Weddings, School Dances, Proms, and Private Parties. We have the knowledge, technology, and desire to make your special day a unique and memorable experience!